Logging still threatens World Heritage Site..
Mankind learned early on in our history that in order to protect a piece of land you needed to fortify it. From humble beginnings, the concept would evolve to produce some of the world’s Great Fortresses of all time. The very word fortification, by extension fortress or fort, is derived from Latin fortis(“strong”) and facere (“do” or “to make”). To “make strong” would be a concept that would drive humans to build ever more complex and impressive defensive structures. The development of explosive shells once again revolutionized fortress design. Ionut-Sorin Banciu, the regional lead of WWF-DCP forest programme, is based in Romania. He brings loads of professional experience after twelve years working as a FSC lead auditor. He was an advisor for the Romanian State Secretary for Forests, and a Technical Manager for public and private forest administrations. He is part of WWF’s team since the beginning of 2017. What are the biggest challenges for forests in the Danube-Carpathian region? I would say that the biggest challenges we face in the region are related to keeping the balance between our countries’ development and the use of natural resources. Forests have always played an important role in our region’s history and their evolution is very much linked with our countries’ development. Historically, the forest management systems applied in the region had the role of preserving the natural heritage of the Carpathians, like virgin and old growth forests, and important populations of large carnivores. 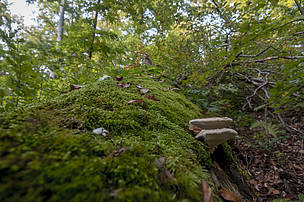 Bratislava – Lack of a strong legislative mandate for conservation threatens the unique value of Carpathian primeval beech forests in Slovakia, listed as a UNESCO World Heritage site, according to a report released by the Supreme Auditing Department. WWF warns that under the current circumstances, the site’s inscription in the World Heritage list may be threatened. Continuing inappropriate management, extensive logging and hunting in the Slovak forest threaten the whole UNESCO site, which also includes areas in the Ukraine and Germany, according to the audit. 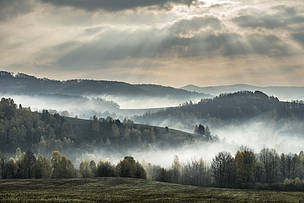 Protecting the Poloniny National Park in Slovakia along with other Central and Eastern European forests has been an ongoing struggle for UNESCO and the WWF. After strong criticism from the UNESCO World Heritage Committee at its annual meeting in 2017, in February 2018 the Slovak government submitted a report with improvements and protection measures to preserve the site. “The report is too general, unsatisfying and inadequate to respond to the challenges and threats indicated in the UNESCO World Heritage Committee’s decision,” said Miroslava Plassmann, Director of WWF-DCP Slovakia. The Carpathian Beech Forests, a UNESCO world heritage site, are not properly protected according to WWF and the Supreme Audit Office. The Slovak Supreme Audit Office (NKÚ) has found several flaws in the protection of the Carpathian primeval beech forests situated in the Poloniny National Park (NP) which are listed as a UNESCO site. The results of the full audit will be announced by NKÚ head, Karol Mitrík, during the cabinet’s February 14 session. The audit office warned that under current circumstances, the inscription on the UNESCO world heritage list may be threatened. Spišský Hrad (Spiš Castle), one of the largest and most monumental medieval castles in the Central Europe, is the key historic and architectonic landmark of Spiš region of East Slovakia. 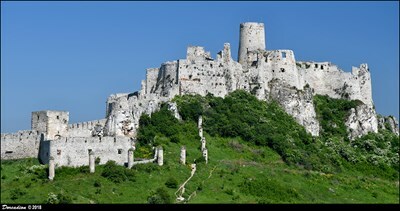 The ruins of Spiš Castle (Slovak: Spišský hrad; Hungarian: Szepesi vár; German: Zipser Burg) in NE Slovakia form one of the largest castle sites in Central Europe. The castle is situated above the town of Spišské Podhradie and the village of Žehra, in the region known as Spiš (Hungarian: Szepes, German: Zips, Polish: Spisz, Latin: Scepusium). It was included in the UNESCO list of World Heritage Sites in 1993 (together with the adjacent locations of Spišská Kapitula, Spišské Podhradie and Žehra). This is one of the biggest European castles by area (41 426 m²). Spiš Castle was built in the 12th century on the site of an earlier castle. It was the political, administrative, economic and cultural centre of Szepes County of the Kingdom of Hungary. Before 1464, it was owned by the kings of Hungary, afterwards (until 1528) by the Zápolya family, the Thurzó family (1531–1635), the Csáky family (1638–1945), and (since 1945) by the state of Czechoslovakia then Slovakia. These are the 30 prettiest towns in Europe, according to the fine people at the Japanese Association of Travel Agents (JATA). It was challenged to come up with 30 smaller destinations to promote to holidaymakers. This is what they came up with (and there’s only one in Britain). Mangalem, the city of Berat’s old town, sits on the banks of the river Osum and is a Unesco World Heritage Site. In medieval times it was a frontier town of the Byzantine Empire, to which its citadel testifies. With a permanent population of around 10 people – but 600,000 annual tourists – the hilltop village has become a focal point of central Italian holidays. More than once our friends told us that Banská Štiavnica is probably the most beautiful town in Slovakia. This UNESCO World Heritage Town has been able to preserve its medieval history. 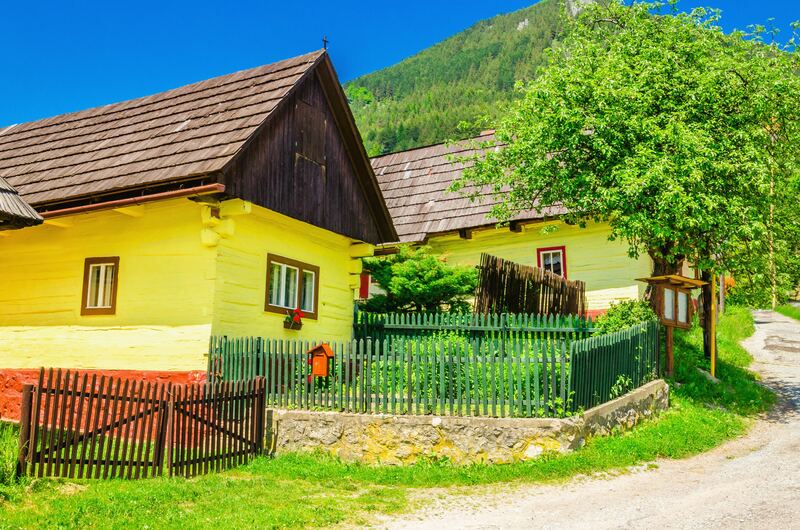 Located in the center of a large caldera, the town with around 10.000 inhabitants offers an impressive surrounding that is now the mountains of Štiavnické Vrchy. Banská Štiavnica and its history are well connected with the mining of silver ore in the area. The first known mining settlement dates back to the third century BC. The town was established in the 13th century and is Slovakia’s oldest mining town. The urban center that still stands was formed as early as the 16th century. Banská Štiavnica was for a long time a leading center for innovation within the mining industry.